If you want a non-badger hair, vegan, animal friendly, Muslim friendly shaving brush, you've got to consider this two piece, retro styled travel synthetic shaving brush. As well as ticking all the moral boxes it's perfect for guys with sensitive skin. The fibres have soft tips, yet have enough backbone to generate a rich lather from shaving soaps and shaving creams. The turnback style of this synthetic shaving brush keeps the fibres of the brush protected, preventing them from being damaged when the brush is not in use. The hollow faux horn tube cleverly doubles as a case for storage and as the handle when you lather up. Synthetic fibres dry quickly, so the brush can be stored away immediately after use unlike a badger hair brush. Superbly well made, this brush has a left hand screw action, turn clockwise to open and anti-clockwise to close. When not in use, the shroud screws down over the brush hairs to protect them, when in use the shroud doubles as a handle! Lather up shaving creams and soaps alike with this brush, avoid HOT water, rinse out after use. Synthetic is best when you're on your travels as the hair dries almost instantly after use. Additionally, the synthetic hairs are soft on the face. No badger had to die to make your shaving ritual pleasurable. Not the Travel Shaving Brush for you? 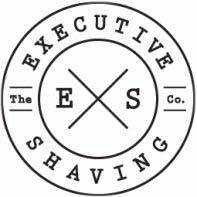 Browse out entire Travel Shaving range.